How to Hack an Email Account? – How Hackers Hack Gmail Password? Disclaimer! This article is for Information purpose only. We do not encourage you in any manner to try these Methods on anyone. Ever wondered how hackers hack into an email account? or ever tried to find out about how to hack someone’s email? At first, it seems impossible since you think you are the only person to know your email password and if at all it is possible to hack email, You might think that it’s the most difficult kind of thing to do for an average person without any IT education. But is it that easy and simple? No, Email hacking requires special skills, creativity and most importantly Patience. Remember, anyone can hack an email account or they could at least try to hack. It’s a myth that it is done by sophisticated hackers with incredible technical knowledge. some of you might also think that it is impossible, Yes it is impossible for the most part unless the victim is careless with how he uses his email or password. And if your account gets hacked, only you are responsible for that. The same scenario can be interpreted in the context of email hacking. when your Account gets hacked, that’s only because of your carelessness. Believe it. In this article, I have discussed 3 basic hacking techniques used by any professional Gmail hacker. All though there might be other modern ways to hack email accounts used by advanced penetration testers, they all boil down to these 3 basic techniques. Let’s admit it almost all of us use Gmail as an email service and the considerable amount of people access email on smartphones using Gmail app. 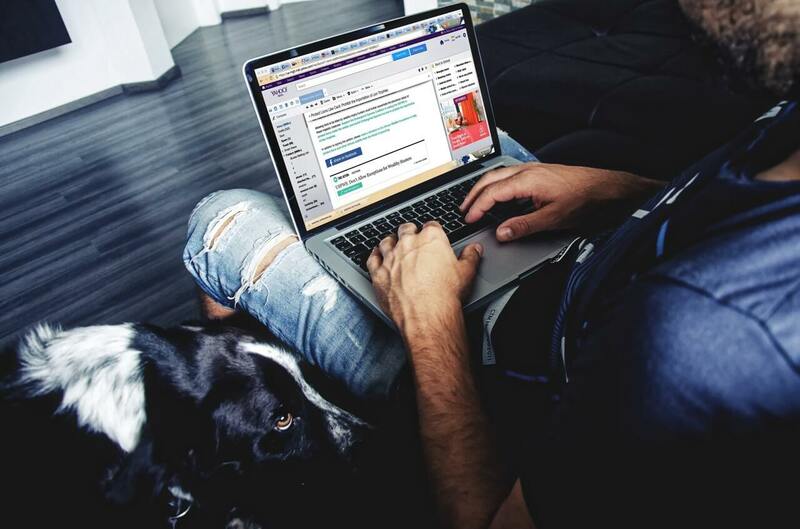 Decade-old phishing attacks aren’t effective these days because of strong security awareness and features of email providers such as 2-factor authentication, IP whitelisting, etc. Unless you can carry out highly sophisticated phishing attacks that can bypass SMS 2FA, It is not feasible to just hack username and password. It is high time we need to discuss advanced mobile phishing attacks that can take care of multifactor authentication and take control of victims email account. But before we jump on it, let’s start with capturing keystrokes with Spy apps first. So to hack someone’s Gmail account, it’s critical that we hack or take control of their smartphone. One way to do it is by installing “spy app” on their smartphone that will record everything they do on their phone including typed passwords. The basic idea behind Spy app is that its a piece of code that needs to be installed on your target device and when successfully installed, it records everything that is typed on the keyboard or any other activity like calling, browser history, social media activity, etc. This is the simplest technique used by hackers to steal their victim’s personal details such as email passwords or credit card details. However you either need physical access to the device or if the target device is not accessible, you need to convince your victim to install the spy app by any means. Hacking into someone’s email account does not essentially requires you to know or change their passwords. You could hack their account and read sent & received emails, their contacts, etc. without the need of password reset. With a spy app, you can hack into someone’s email without their password. 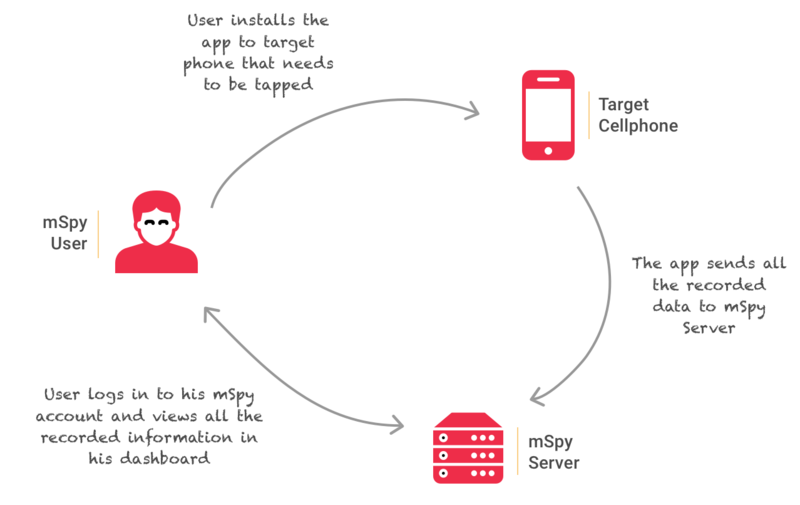 The spy app that we at hacker9 recommend is called mSpy. Apart from email hacking, mSpy can log phone calls, spy on text messages, WhatsApp monitoring, log passwords, etc and most importantly it is compatible with both Android & iPhone. You can read more about how to install the mSpy app on cellphones and track Gmail or any other Email app to read sent/received emails. The biggest challenge is to somehow install this app on your victim’s smartphone. It is much easier to get this app on your spouse’s phone rather than your friend’s phone. You will need to learn few social engineering skills that will let you casually get hold of other peoples smartphones. Installing it remotely on your victim’s smartphone is possible as long as you can convey them or trick them into installing it. Once installed the app runs in complete stealth mode, monitoring all the activities and capturing keystrokes including email passwords. Most spy apps for desktop computers will not work in the presence of Antivirus or Anti-malware apps. I have curated a list free Keyloggers (spyware) for windows machines. You can make use of them while your Antivirus software is turned off. If you can physically access your victim’s computer like in case you want to monitor your home computer to spy on your spouse or kids, then you can get yourself a hardware-based keylogger. It’s a USB device which can be quickly inserted in between the keyboard and the computer to capture all the data entered by the victim. Keystrokes are collected in a temporary file and is stored in the flash memory which can be later accessed over WiFi or by connecting it to your computer. 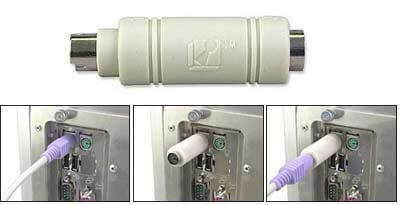 The hardware which is displayed above is a PS2 keyboard compatible keyboard. However, these days we mostly use USB keyboards in our homes or offices. With advancements, we now have an inbuilt WiFi technology in these hardware keyloggers which enables it to communicate with its owner for an exchange of logged data. With inbuilt WiFi chip, can now easily pick up the information containing passwords, credit card details or anything that is typed on the keyboard over the air. If desired, the keylogger can be moved to another computer to retrieve the data. If you are looking for an older version (PS2 keyboard compatibility), read best hardware keyloggers. Never install any Software patch or any Keygen, unless you download it from a legit site. Phishing is a criminal process of attempting to steal sensitive information such as usernames, passwords, credit card details by disguising as a trustworthy website. It is one of the most widely used social engineering technique to hack email just because it is easy and affordable to execute. This can be the simplest way of tricking someone to give you their login details or private information and even highly educated IT professional can fall for it. The only clear identification of a website is its URL! Phishing is typically carried out by an e-mail or via instant messengers, and it often misleads people to enter details at a deceptive website whose look and feel is almost identical to the real one. To hack your Gmail account, a hacker may send you an email containing a link to the fake login page of Google that appears to have come from Google team, requesting you to change the password or update personal information. Or he may create an online persona of your boss or coworker and send you an email invite to edit documents on Google Drive or participating in Google Hangout calls. If by chance you fall for it and enter your login credentials at the fake login page, the details are automatically transferred to hackers server while you will be redirected to the main page of your account or email dashboard. Have enabled two-factor authentication for your Gmail account and thought you’re safe? You are not. Attackers can easily defeat some forms of two-factor authentication to steal credentials and maintain access to victims’ accounts. You can read my recent post that discusses “phishing two-factor authentication codes“. Even scammers make use of phishing attacks to loot their victims. They usually send phishing e-mails that appear to have come from a bank, or a credit card company — requesting verification of details. Please note that any email provider or any bank will never ask you to validate your account by email, nor will they ask for verification information without a support request being processed. This technique has a 70-90% success rate because its success entirely depends on the user, who is bound to make mistake and logs in to the phishing site. 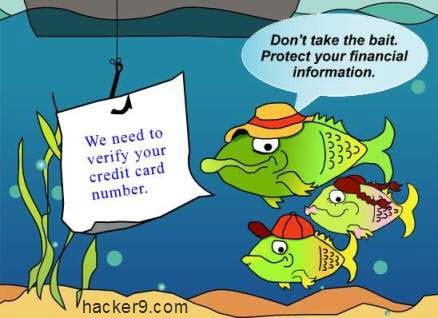 Read More: Phishing – How to create Fake login Page? Password Guessing is a type of social engineering technique which deals with manipulating someone’s mind to figure out his personal information. It requires good social skills and thinking power. Here the hacker knows the victim very well. The hacker could be your girlfriend, boyfriend or sometimes a family member. Also, he might be your online friend with whom you share your profile details including ‘date of birth’, ‘cellphone no’, and other favorite things such as cuisines, music, movies, etc. This information is enough for a hacker to start guessing your email password or the security question of the email account and in that way reset the password and put his own password and login into the account. And there is a high probability that he will guess your security question and answer correctly. There are many fake ways of email hacking, you will see all over the internet. 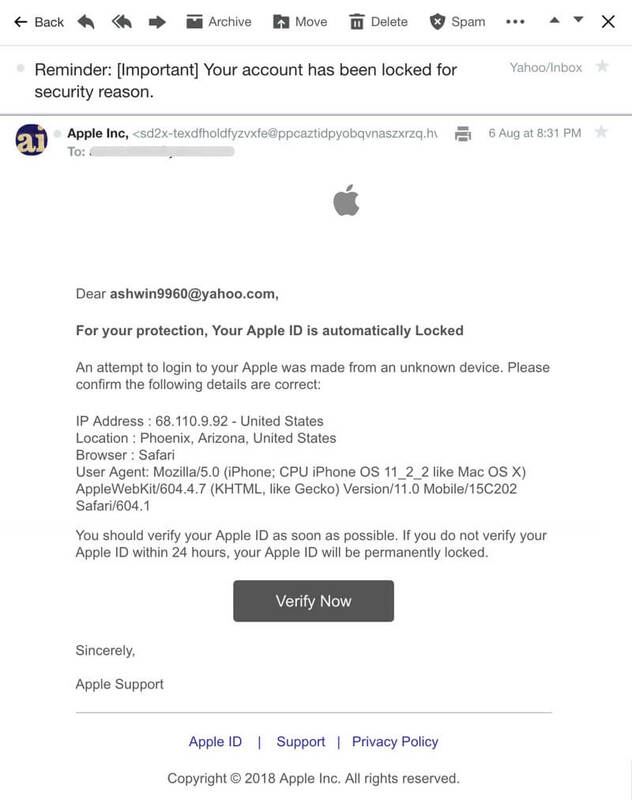 Most of these fake ways tell you something like “you need to send an email to account_recovery@yahoo.com with your password in the subject line”, which is some fake Yahoo account owned by some hacker that just stole your password.